Art can be easy, or hard. It is all about creativity. Do you want to teach your kids to draw simple animals for fun? 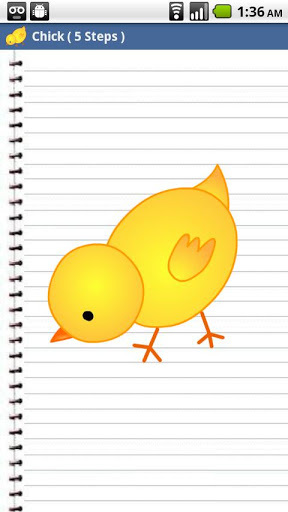 “How to Draw Animals for Kids” is the application for learning simple drawing, for fun and entertainment. This application lets you and young kids to learn how to draw animals using some easy, step-by-step instructions that are simple, but very cute and elegant. 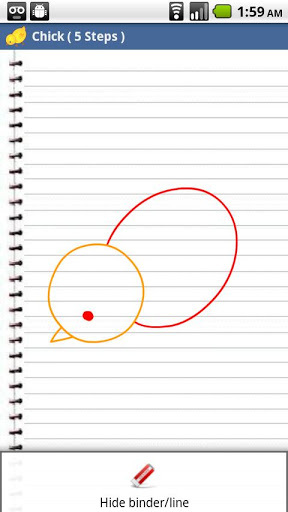 It provides helpful diagrams to guide you in drawing these playful animals. 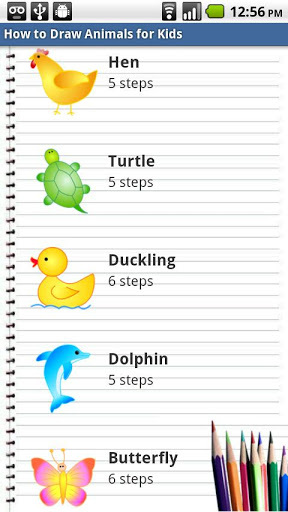 Each animal drawing is divided into 5 or 6 steps, and it is easy to follow. 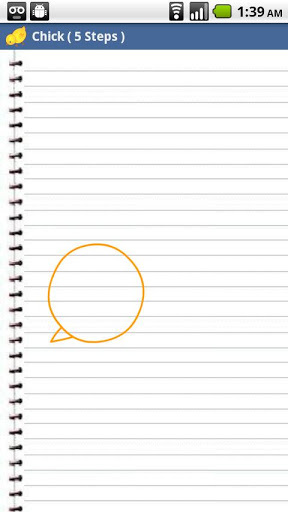 The application provides a fun page flipper when you’re ready to move on to the next step. 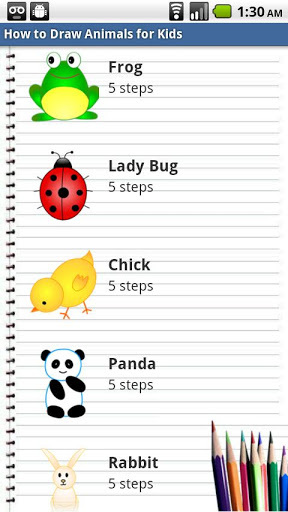 The kids and you will find that these animals are easy to draw, cute, and the steps are in bite size chunks for everyone to keep up. hen, turtle, duckling , dolphin, butterfly, cartoon mouse, frog, lady bug, chick, panda, rabbit, tropical fish, elephant, rooster, penguin, swan, gold fish, puppy, pig, snail, giraffe, cat, octopus, deer, bee, dragonfly, lion, bird, bear, tiger, swallow, crab, hedgehog, seal, koala, squirrel, hippopotamus, fox, cow, woodpecker. We will update the animal list in the future after reviewing the positive feedback or suggestions.